Learn how EFT can help you manage your stress. 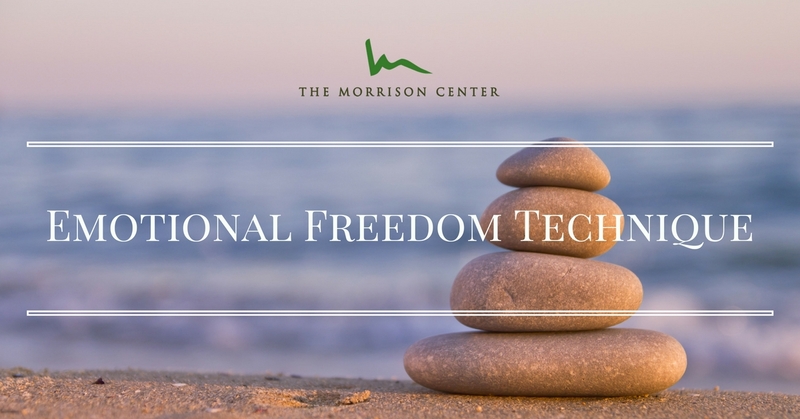 Emotional Freedom Technique (EFT), also known as “tapping,” is a powerful stress reduction technique that utilizes the body’s energy meridian points to optimize energy flow, calm the nervous system and optimize healing. It involves a simple, quick pattern of tapping on acupressure points while talking out loud about a particular issue to neutralize any emotional charge behind it. Once the stress around an issue is reduced or removed, the body can often rebalance itself and accelerate overall healing. We are wired to survive. When we sense a threat — a tiger charging at our ancestors or a surprise deadline — the brain shifts from calm mode (parasympathetic) into stress mode (sympathetic), mobilizing the fight-or-flight response: our heart rate, blood pressure, and blood sugar all increase, epinephrine (adrenaline) surges, and muscles tense up. Cortisol — our main stress hormone — levels rise. This stress response is triggered not only by external stresses but by our own thoughts as well. Evolved as we may be, our body responds the same whether we’re being physically stressed or emotionally assaulted by our own guilt, shame, or negative self-talk. A chronically stressed-out existence leads to chronically high levels of cortisol and inflammation, affecting our mood and ability to heal. By working with an EFT practitioner, you’ll learn to identify your emotional triggers, why they’ve developed, and how to resolve them. Once EFT is applied to core issues and memories related to your stress triggers, their emotional charge dissipates and its effects on the body via the subconscious mind are neutralized. Research has demonstrated that EFT is effective for phobias, anxiety, depression, post-traumatic stress, pain, and many other issues. The best part is that you’ll have a tool you can use right away, after your very first session. We live in a world of stress triggers: emails, commuting, the news — and we can only control our exposure to a degree. What we can control at any time is our response to stress, and in turn the impact it has on our minds and bodies both short and long-term. At The Morrison Center, we recognize that there are both physical and emotional components of any health issue. We all have a tremendous capacity for physical and emotional healing. Tapping is a way to focus and put that power to its highest use. Stephanie Mandel is a trained EFT practitioner with a passion for helping her clients fulfil their potential through emotional optimization and stress management. In her years as a practising Holistic Nutrition Consultant, she continues to evolve her deep interest and understanding of the mind-body connection and the potential for healing in every sense when underlying emotional stresses are identified and addressed. She trained in EFT under leading expert in energy psychology and EFT master Dawson Church, PhD, and has experienced first hand how transformative EFT can be for both emotional and physical health. She is thrilled to bring EFT to The Morrison Center. To schedule an EFT session with Stephanie, please call our Practice Manager Hildy Abel at 212-989-9828 ext. 1. 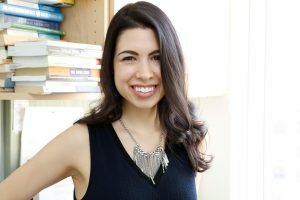 Stephanie Mandel is a Holistic Nutrition Consultant and Emotional Freedom Technique practitioner with a passion for helping her clients fulfill their potential through both emotional and physical optimization.